On November 19 of 2012, Roger Alvin Henderson and his mother were going for a drive when they noticed flashing blue lights in the rear view mirror. After pulling over, Henderson got out of the car and provided the officer with his drivers license. 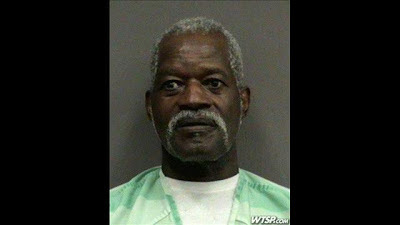 He then told the officer that he had to urinate. It's unclear if the officer ignored him or just didn't hear him, but whatever the case, he responded by asking Mr. Henderson to stay put while he went over and spoke to his mother." The officer then walked over to the car and had a perfectly cordial conversation about why he had pulled her over (an illegal window tinting)...which turned out to be an incorrect observation. But this officer was man enough to admit when he had made a mistake. In addition to informing Henderson's mother that the car's window tinting was legal, the officer actually apologized for needlessly pulling the pair over, as well. "...and I definitely appreciate not to have to use my Taser today, ma'me"
What he was not aware of, however, was that Mr. Henderson had decided right then and there to relieve himself....on the patrol car. Embedded below is a video of the incident from the car's dash cam (with the part of Mr. Henderson you don't want to see thankfully blurred out). 1. 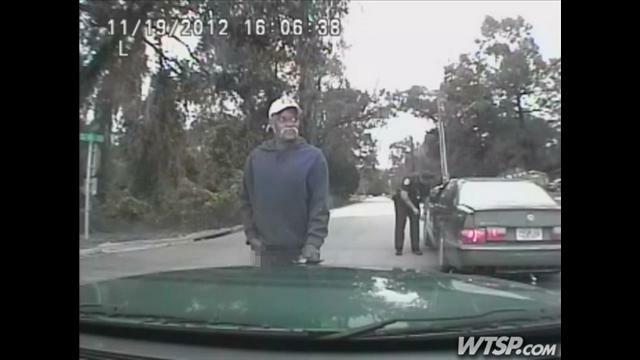 Why didn't the officer respond to Mr. Henderson's statement about needing to urinate? 2. Why didn't Mr. Henderson ask if he could go somewhere off to the side and pee? 3. Why did Mr. Henderson pee directly onto the patrol car? 4. HOW LONG WAS THAT GUY TAKING A PISS? Seriously...either he has some serious prostate problems, or he drank a few gallons of water before getting in the car. Roger Alvin Henderson was arrested and charged with indecent exposure. the bathroom at the jail, someone will hear him this time.